Obituary for Robert "Marty" M. Ogle | Lochstampfor Funeral Home, Inc.
Robert Martin “Marty” Ogle, 66, of Waynesboro, Pennsylvania, passed away peacefully in his home on March 29, 2019, surrounded by the people he loved after a short courageous battle with cancer. Born on July 30, 1952, Marty was the son of Glenn Robert Ogle and the late Betty (Recard) Ogle. Marty also spent many formative years at the side of his beloved grandparents, especially his grandfather, Glenn Martin Ogle. 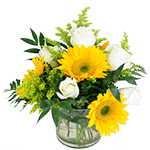 He shared many stories with his grandchildren about the times he spent with his grandfather, and he shared the same special bond with each and every one of them. Marty was a lifelong resident of Waynesboro, graduating from Waynesboro Area Senior High School in 1970 after a stellar athletic career in both football and basketball. He continued his athletic talents at Shepherd University where he was a starting fullback and All-American for the Rams. Marty’s love of athletics remained a constant in his life both personally and professionally. After obtaining his Bachelor’s Degree in 1974, he continued his studies to graduate in 1976 with a Master’s Degree in­ Athletic Administration. 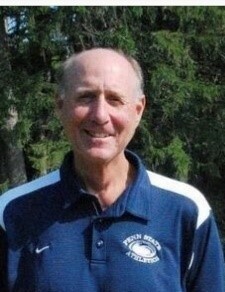 Marty would become the Athletic Director for Penn State Mont Alto, a position that he held for 28 years until his retirement in 2016. During his tenure, the athletic program at Mont Alto grew from four to twelve varsity sports with over 150 student-athletes, saw a positive transition from the CCAC to PSUAC, and the building of the Multipurpose Building and the beautiful baseball and softball fields. Marty was President of the CCAC/PSUAC Conferences for fifteen years, and was recognized many times by his peers for his dedication and knowledge of athletics. 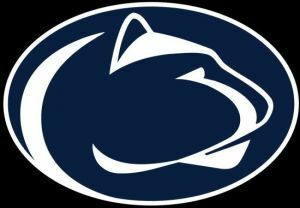 He was also instrumental in helping the conference become a member of the USCAA, allowing Penn State branch campus teams the ability to compete for national championships. He was honored with the Robert J. Scannel Roll of Honor Award upon his retirement in 2016. The award is presented to a person who has served the University with distinction, and it specifically honored Marty for his service and accomplishments as Mont Alto’s Athletic Director. He was also the recipient of the first ever Campus Builder Award recognizing a campus citizen who goes above and beyond to do their job well. Marty was a lifelong coach as well. He coached the Waynesboro Indian Football team, the Penn State Mont Alto Boys’ Basketball team, and most recently volunteered the last four years coaching the Waynesboro Indian Basketball team. During his ten year tenure with the Lions, he amassed a 178-62 record and was named CCAC Coach of the Year three times, winning the conference championships in 2000, 2001 and 2003. Over the course of those years, he taught and counseled many young men to appreciate the life lessons sports can have to your life. He also took immense pride in coaching and watching his grandchildren play the sports he loved so much. Marty married Samee Hovis on August 8, 1998, at Christ United Methodist Church. Their marriage was filled with travel, adventure, Penn State football games, vacations at the beach, animals, and time spent with family. Marty was an avid historian and loved learning all he could about the Civil War and the Battle of Gettysburg. Most importantly, “Pappy Hat” was an amazing grandfather who adored his grandchildren. In addition to his wife, Marty is survived by his three children Keith Sheeley (Michelle), Stacey Sawicki, and Erin Hotchkiss(Shane); grandchildren, Allison and Luke Sawicki, and Ethan, Emma, and Elise Hotchkiss, his father, two sisters, and his brother. He was proceeded in death by his mother. There will be a celebration of Marty’s life to be held at a later date. Burial will be private and at the convenience of the family. In lieu of flowers, memorial contributions can be made to the Waynesboro Basketball Association, 550 East Second Street, Waynesboro, in honor of Marty Ogle to continue his positive impact on sports and benefit future athletes.